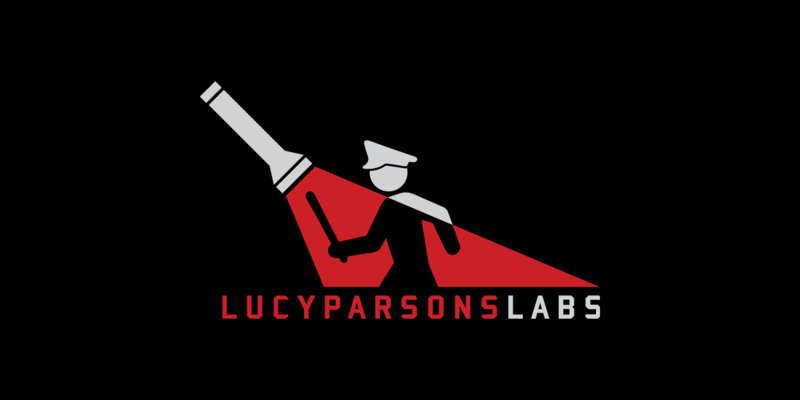 Here at the Electronic Frontier Alliance, we’re lucky to have incredible member organizations engaging in advocacy on our issues across the U.S. One of those groups in Chicago, Lucy Parsons Labs (LPL), has done incredible work taking on a range of civil liberties issues. They’re a dedicated group of advocates volunteering to make their world (and the Windy City) a better, more equitable place. We sat down with one of the founders of LPL, Freddy Martinez, to gain a better understanding of the Lab and how they use their collective powers for good. How would you describe Lucy Parsons Labs? How did the organization get started, and what need were you trying to fill? The lab got started four years back when a few people doing digital security training in Chicago saw there was need for a more technical group that could bridge the gap between advocacy and technology. We each had areas of interest and expertise that we were doing activism around, and it grew pretty organically from there. For example, lawmakers would try to pass a bill without fully understanding the full implications that the piece of legislation would have, technologically or otherwise. We began to work together on these projects to educate lawmakers and inform the public on these issues as a friend group, and the organization grew out of that as we added or expanded projects. We do a lot of public records requests and work on police transparency, but our group has broad, varied interests. The common thread that runs through the work is that we have a lot of expertise in a lot of different advocacy areas, and we leverage that expertise to make the world better. It lets us sail in many different waters. LPL participates in the Electronic Frontier Alliance (EFA), a network of grassroots digital rights groups around the country. Your work in Chicago runs the gamut from advocating for transparency in the criminal justice system, to investigating civil asset forfeiture, from operating a SecureDrop system for whistleblowers, to investigating the use of cell-simulators by the Chicago Police Department. Given that, how does the EFA play into your work? I feel that the more the organization grows, the more having groups around the country who are building capacity is key to making sure that these projects get done. There’s such a huge amount of work to be done, and having other partners who are interested in various subsections of our work and can help us achieve our goals is really valuable. EFA provides us access to a diverse array of experts, from academics and lawyers to grassroots activists. It gives us a lot of leverage, and lets us share our subject matter expertise in ways we wouldn’t be able to if we were going it alone. Let’s talk surveillance. LPL has done incredible work via the open records process to expose the use of cell-site simulators (sometimes referred to as “Stingrays” or IMSI Catchers) by the Chicago Police Department. Can you tell us about how you started investigating, and why these kinds of surveillance need to be brought into the public conversation? I actually heard of this equipment through news reporting—you would see major cities buying these devices, and then troubling patterns began to emerge. Prosecutors would begin dropping cases because they didn’t want to tell defense attorneys where they got the information or how. There were cases of parallel construction. After noticing this trend, I sent my first public records request to get info on whether the Chicago Police Department had bought any. Instead of following the law, they decided to ignore the request until a judge ordered them to release the records. They were ostensibly used for the war on drugs, but usually they are used overseas in the war on terror. They test these technologies on black and brown populations in war zones, then bring them back to surveil their citizens. It’s an abuse of power and an invasion of privacy. We need to be talking about this. We think that there’s a reason that this stuff is acquired in secret, because people would not be okay with their government doing this if they knew. LPL has done tons of community work in the anti-surveillance realm as well. Why do you believe educating people about how they can protect themselves from surveillance is important? I think that you need to give people the breathing room to participate in society safely. Surveillance is usually thought of as an eye in the sky watching over your every move, but it’s so much more pervasive than that. We think about these things in abstract ways, with very little understanding of how they can affect our daily lives. A way to frame the importance of, say, encryption, is to use the example of medical correspondence. If you’re talking to your doctor, you don’t want your messages to be seen by anyone else. It’s critical to have these discussions and decisions made in public so that people can make informed decisions about their lives and privacy. This is a broader responsibility we have as a society, and to each other. Do you have any advice for other community-based advocacy groups based on your experience? I have found that being organized is extremely important. We’re a small team of volunteers, so we have to keep things really well documented, especially when dealing with something like public records requests. You also have to, and I can’t stress this enough, enjoy the work and make sure you don’t burn out. It’s a labor of love—you need to be invested in these projects and taking care of yourself in order to do effective activism. Otherwise the work will suffer. LPL has partnered with other organizations and community groups in the past. What are some ways that you’ve found success in coalition building? What advice would you give to other groups that would like to work more collaboratively with their peer groups? LPL is also part of a larger group called the Chicago Data Collaborative, where we are working on sharing and analyzing data on the criminal justice system. One of the most important pieces of information to know before embarking on a multi-organization enterprise is that you will have to do a lot of capacity building in order to work together effectively. You’ll need to set aside a lot of time and effort to context build for those not in the know. You must be “in the room” (whether that’s digital or physical) for dedicated, direct collaboration. This is what makes or breaks a good partnership. I have a bit of advice for people who’d like to get involved in grassroots activism and advocacy, but aren’t sure where to start: You’ll never know when you’re going to come across these projects. Being curious and following your gut will take you down weird rabbit holes. Get started somewhere and follow your gut. You’ll be surprised how far that will take you. If you’re advocating for digital rights within your community, please explore the Electronic Frontier Alliance and consider joining. This interview has been lightly edited for length and readability.